ARCO regrets to inform its members of the death of Commandant David (Dave) Michael Brown, Tully Vale, Kildare Town, Kildare, on Tuesday, 26th July 2016. Deeply regretted by his loving wife Mary, daughter Laura, son Alex, daughter-in-law Hai-Ni, mother, brothers, extended family and friends. Reposing at Mc Wey’s Funeral Home, Abbey View, Kildare Town on Wednesday, 27th July, from 5 o’clock with Rosary there at 8 o’clock. Removal on Thursday at 10.45 to St. Brigid’s Parish Church, Kildare arriving for Mass at 11 o’clock. Burial afterwards in St. Conleth’s Cemetery, Kildare. No flowers please. Donations if desired to Our Lady’s Childrens Hospital, Crumlin. ARCO regrets to inform its members of the death of Commandant Dave Hyland, O’Briensbridge, County Clare, on 20th July 2016, after a brave battle with cancer. He will be sorely missed by his wife Anne, daughter Caragh, sons Cian and Davet, daughter-in-law Caoimh, Cian’s fiancée Aoife, his brother Billy and sister Judy, family and friends. Funeral Service on Saturday afternoon in Newlands Cross Crematorium Chapel at 1 o’clock. Family flowers only please. Donations may be made in Dave’s name to Mid-Western Cancer Foundation, University Hospital, Limerick. ARCO regrets to inform its members of the death of Commandant Liam O’Coinne, Taylors Hill, Galway City and formerly of Garracloon, Ballina, Co. Mayo; unexpectedly, on Friday, 15th July 2016. Loving husband of Anna and much loved father of Gillian and Susan. Very sadly missed by his wife and daughters, son-in-law Pádraig, grandsons Joe and Jack and granddaughter Zoe, brothers Seamus, Gerry and Fionan, sister Maire, brothers-in-law, sisters-in-law, nieces and nephews, relatives and friends. Reposing at home on Sunday, 17th July from 4.00 p.m. to 7.00 p.m. Removal on Monday, 18th July to the Church of Christ the King, Salthill to arrive for Requiem Mass at 11 a.m. Funeral to the New Cemetery, Bohermore. House private on Monday morning. Donations, if desired, to ‘Breast Cancer Research’ c/o N.U.I. Galway. 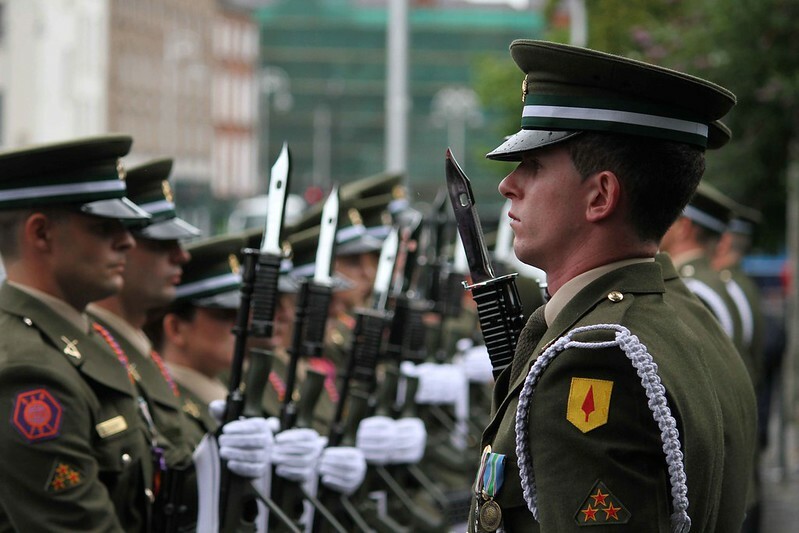 Between 16th July and 20th August this year a Ceremonial Military Guard will parade every Saturday at midday (and at 9.30 am on 30th July only) at the National Memorial to Members of the Defence Forces who died in the Service of the State. Units from throughout the Defence Forces and across the Army, Air Corps and Naval Service will participate in the ceremony in solemn remembrance of their fallen comrades. On 23rd July ARCO will participate in the ceremony and our President, Commander Gerard O’Flynn (Retired), will lay a wreath on behalf of the Association. ARCO members, along with their families, are invited to attend to honour old friends and comrades. On that Saturday 1 Artillery Regiment, Collins Barracks, Cork and Naval Service, Haulbowline, Cork will provide the Ceremonial Military Guard. The National Memorial was unveiled by President Mary McAleese in November 2008. It is a place of contemplation and remembrance where families, relatives and members of the public can reflect on the sacrifice these soldiers, sailors, airmen and airwomen have made for this State. 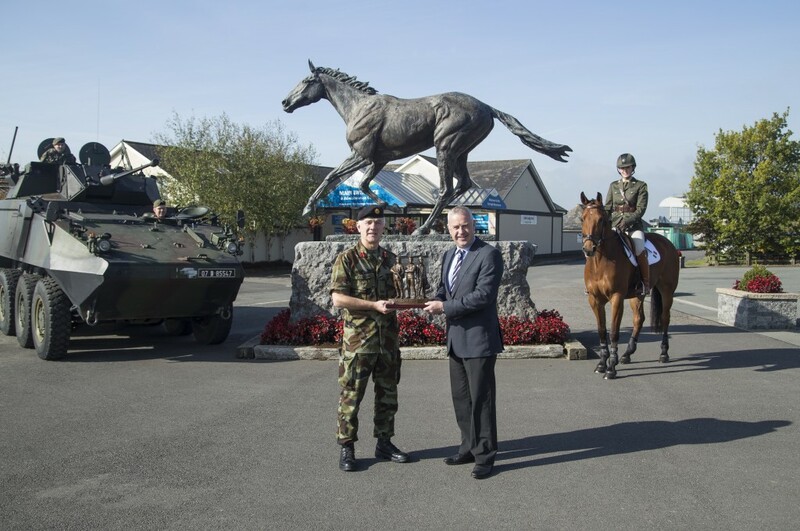 ARCO members are invited to join friends and colleagues on Sunday, 17th July, for the Defence Forces' Race Day at the Curragh Racecourse with 7 exciting races along with displays of Defence Forces’ vehicles and equipment, including the most iconic vehicle in Irish history, Sliabh na mBan. A dedicated turnstile will operate at the main entrance for Defence Forces’ personnel, serving and retired. ARCO members should have their ID Card with them to gain free admission for themselves and a guest. Package 7 race programme starting at 2pm featuring the Kilboy Estate Stakes (Group 2) and Friarstown Stud Minstrel Stakes (Group 2) and Corinthian Challenge Charity Race in aid of the Injured Jockeys Fund.